The first order of construction of 100 tanks FT tanks was extended to 150, and interestingly enough, it is mentioned that they were intended to serve as command vehicles within tank units. Indecision of the Staff caused the order to be suspended until the numerous bureaucratic problems were solved with the arrival of Général Pétain in the position of Commander in Chief. In May 1917, he returned to give the order to manufacture the 150 and an additional 1,000 more. At that time he had already decided to equip some of the tanks with a 37mm cannon. 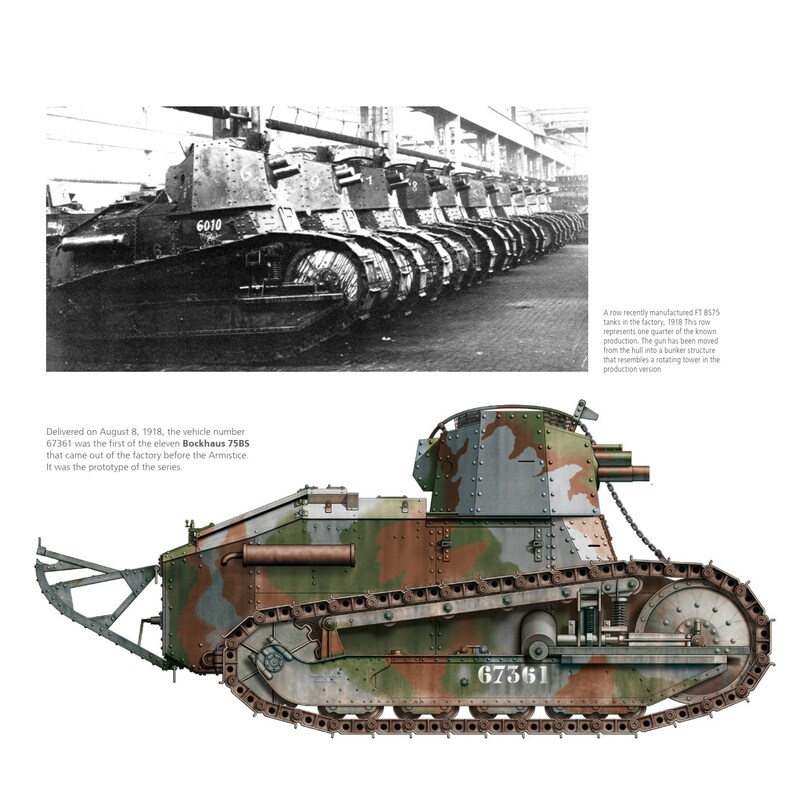 The total order of 1,150 tanks, 500 armed with Hotchkiss 8mm, and 650 with 37mm cannons, were manufactured at Puteaux Arsenal, exceeding the possibilities of Renault, so this factory agreed to sell the production patent and expand production to other factories including Berliet, Delaunay-Belleville, Schneider, SOMUA, and it was even proposed that American companies would participate. 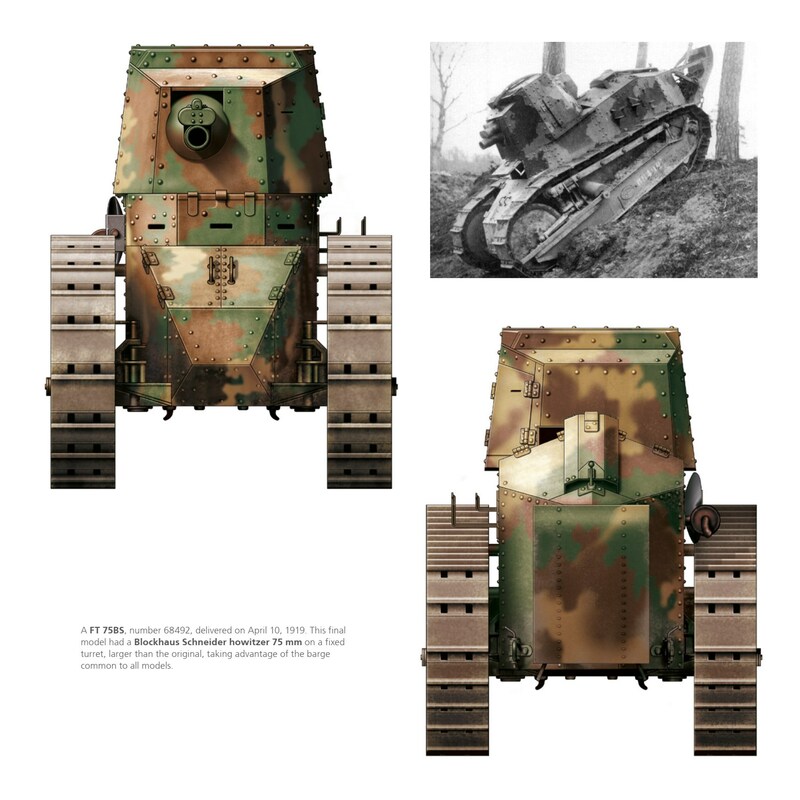 The plans along with one tank were sent to the United States in order to start the construction of the tanks needed by the US army as well as another 1,200 for France. 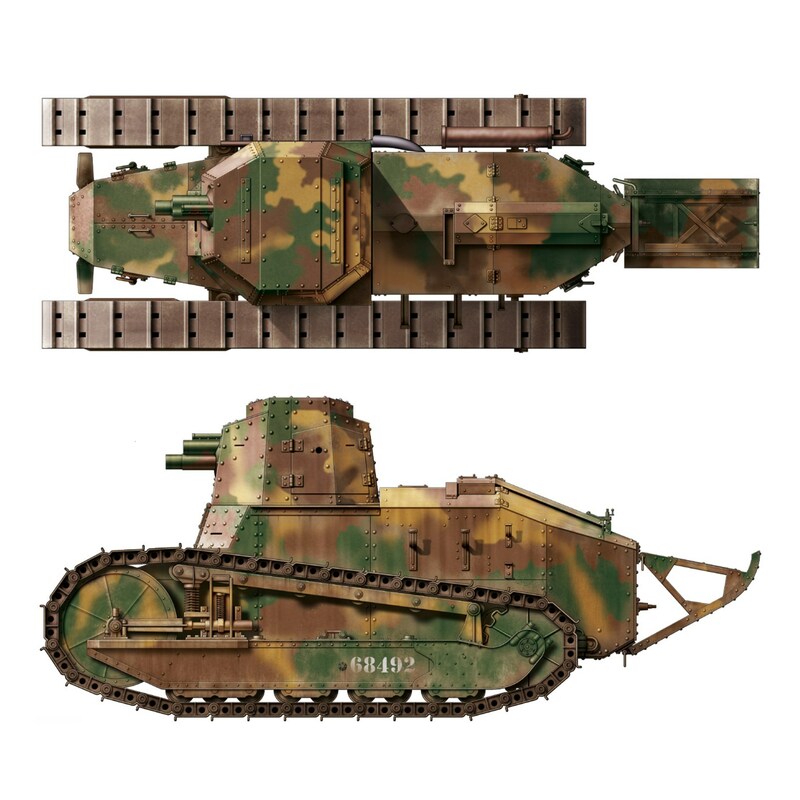 In September, the Ministere d’Armement took over the first 4 units and throughout 1917, Renault produced only 84 tanks. This was due to the delay in the supply of armor, coming mostly from the company named Miris Steel from the UK, and the weaponry, including the new Puteaux 37mm gun, modified to operate semi-automatically and could be well handled by one man. Meanwhile, Estienne requested the production of 2,500 tanks to replace possible casualties, including 200 of a new version, a tank with a radio called the Char TSF – télégraphie sans fil, which served to transmit orders to units via radio. In December 1917, the total requests made totaled 4,000 tanks, 1,950 of which were armed with 37mm cannons, 1,150 with machine guns, 200 TSH, and 970 with Schneider 75mm howitzers. This latest version, the Char FT 75BS, was designed to serve as a vehicle to penetrate enemy lines that, besides having a more powerful weapon to demolish obstacles, had to carry a bridge to facilitate the passage of the remaining tanks after opening the gap in the main obstacle. In April 1918 there had been 453 units with 3,177 vehicles built during the war. 1,950 of them would be produced by the Renault factory. Général Estienne brought the number of tanks used in the war up to 3,282, although we cannot explain this discrepancy of 105 vehicles. Another 570 were produced by the Renault firm after the conflict, in addition to national versions built in other countries like the United States. Finally, recent data estimates that some 3,728 vehicles were built up until 1921. The breakdown is as follows: 2100 tanks with machine guns, 1,246 37mm cannons, 39 75BS, 188 TSH, and 155 training vehicles. FT 75 BS, howitzer armed version. This entry was posted in AFV, France by MSW. Bookmark the permalink.